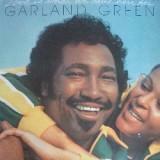 Garland Green (born Garfield Green Jr., June 14, 1942, Dunleith, Mississippi) was the tenth child of eleven born in his family, and lived in Mississippi until 1958 when he moved to Chicago. While working and attending Englewood High, he sang on weekends, and one day while singing in a pool room, he was overheard by Argia B. Collins, a local owner of a bar-b-que chain. 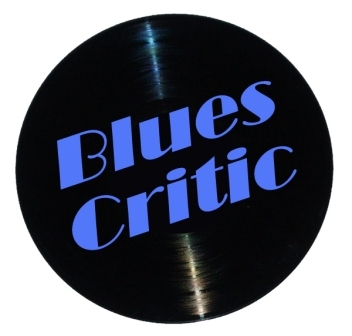 Collins agreed to bankroll Green's attendance at the Chicago Conservatory of Music, where Green studied voice and piano, and played in local bars and clubs. In 1967, Green won a local talent show at a club called the Trocadero. His prize was a concert opening for Lou Rawls and Earl Hines at the Sutherland Lounge. In the audience was Mel Collins, and his wife Joshie Jo Armstead, who was a songwriter who had written tunes with Nick Ashford and Valerie Simpson prior to the couple joining Motown. The couple arranged for Green to do a recording session in Detroit and released the result as a single on their label, Gamma Records, a song called "Girl I Need You." It sold well locally and was picked up by MCA subsidiary, Revue Records for national distribution. 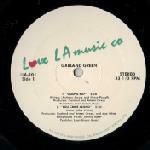 Revue released three further singles from Green who then moved to MCA's main label, Uni Records. 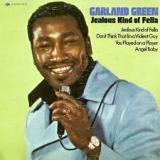 In 1969, "Jealous Kind of Fella" became a major national success, reaching #5 in the Billboard R&B chart and #2 in the Cashbox soul chart. 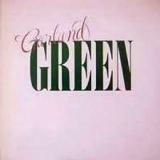 Written by Green, R. Browner, M. Dollinson and J. Armstead, the record was released in the U.S. in August 1969. It sold a million copies by March 1971 and even reached #20 on the Pop Chart. Uni released an album from Green, but the follow-up single did not sell well and Green eventually left MCA, also parting company with Armstead. He then signed with Atlantic Records subsidiary, Cotillion Records, which released five singles from Garland, but only one proved a real success, "Plain and Simple Girl". Produced and arranged by Donny Hathaway, this reached the R&B Top 20 (#17). Moving on to Spring Records in 1973, Green recorded five more singles, some of which charted modestly, notably "Let the Good Times Roll" (not the Shirley and Lee song) and "Bumpin' and Stompin'." His recording for the label, "Just What The Doctor Ordered", remained unissued until 1990, when it was included on a compilation album of his Spring singles on the UK label, Ace/Kent. A move then to RCA Records resulted in three singles and an album, produced by the Los Angeles, California producer/singer Leon Haywood. In 1979, Green moved to California. He release a 5-song EP "Gospel Rap" on his own Love LA Music label and eventually signed with a small independent label, Ocean-Front Records for a self-titled album produced by Lamont Dozier and Arleen Schesel, the latter of whom Green would later marry. The album featured a re-worked version of a major hit for Dozier 10 years earlier, "Tryin' To Hold On". 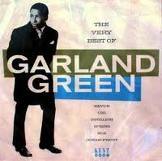 Green's version reached #63 R & B. 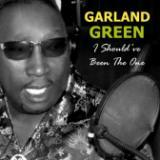 In the late 80s Green self-released various singles on his own label before a rumored comeback album in 2011. Japanese reissue of 1983 Ocean Front LP with three additional tracks "Got It At Home", "Color My World" & "Let's Keep It Simple"